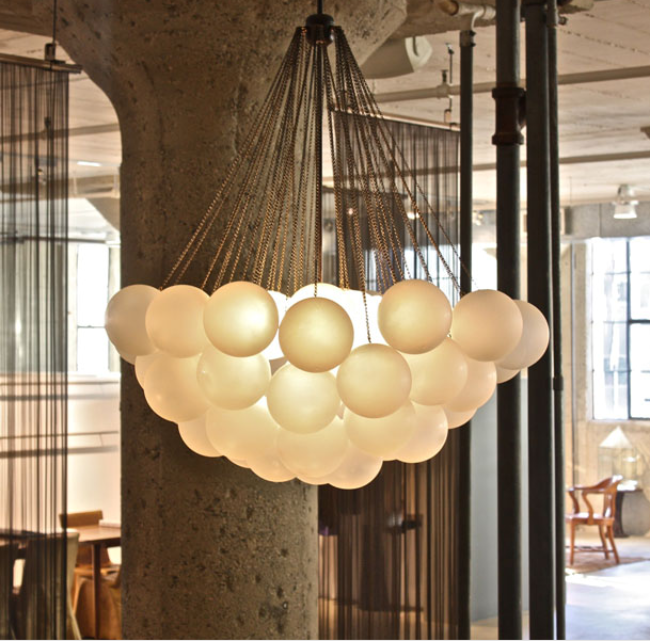 I am absolutely bonkers for the the above lighting pieces that are from Apparatus Studio. 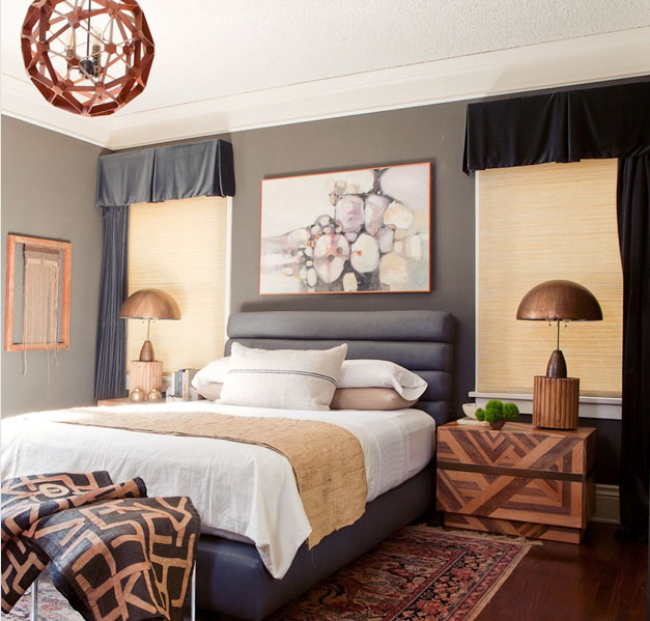 To me the pieces are a perfect marriage of modern meets vintage. 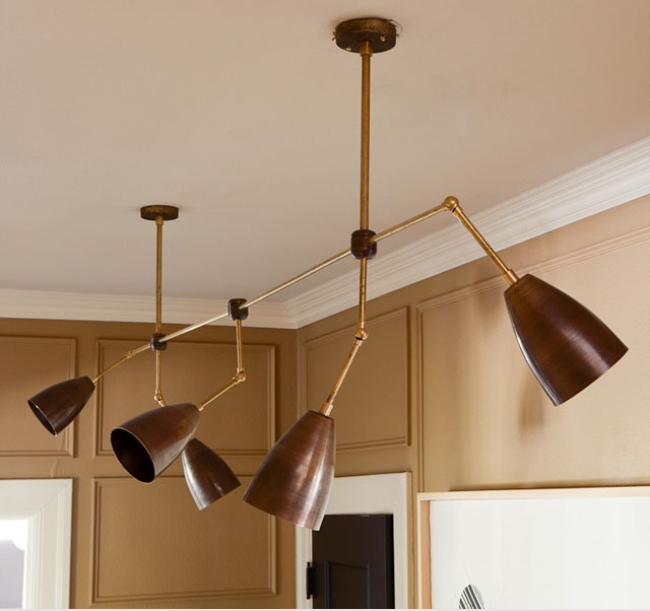 These light fixtures were born when designers Gabriel Hendifar and Jeremy Anderson started playing around with vintage lighting components. 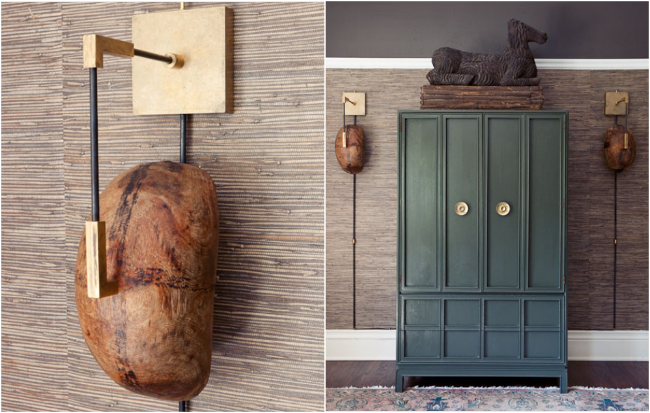 Aged brass, painted glass and found objects assembled by hand to create eclectic, utilitarian fixtures. I love that these pieces still look so fresh and current. Can we talk about the styling of these photos?? 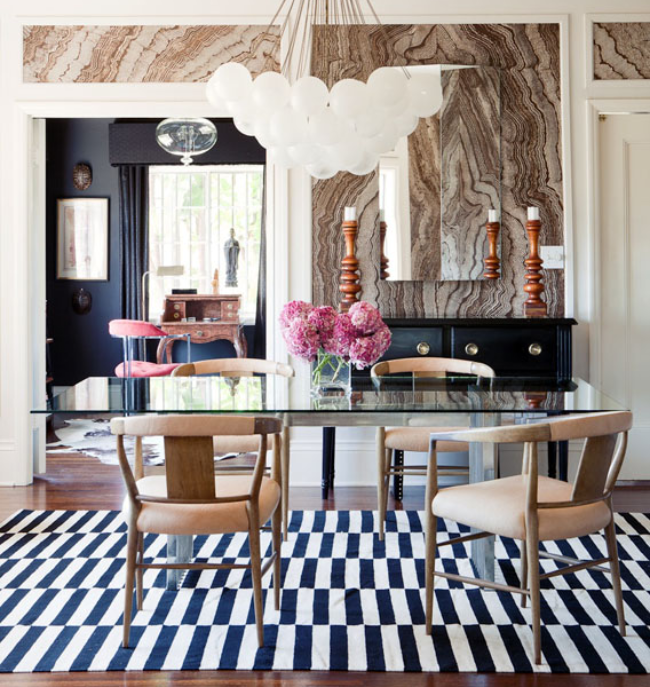 May be due to the fact that Gabriel Hendifar's interior design work has been featured in Elle Decor. 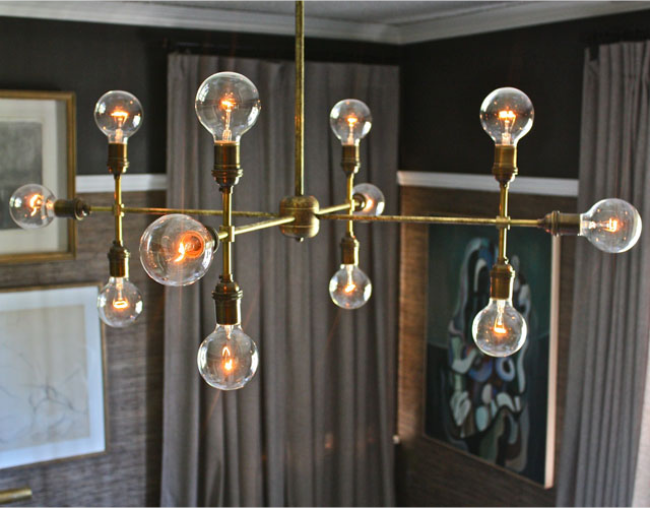 I'm pretty sure the brass chandelier with the exposed bulbs was used on an episode of "The High/Low Project" with Sabrina Soto on HGTV. I wondered where she got it from. It's so unique and creative! Oooh _ I love it all. I can see why you are bonkers for them- I'm bonkers now too! oh, wow. my dining room really really really really needs one of these. Holy sconces -- I understand your feelings precisely. Oh my gooodnesss! Stunning! Love it all! Love the patina on the brass. Hmmm. I not only love the lighting, I love the walls in that first photo. Wow! 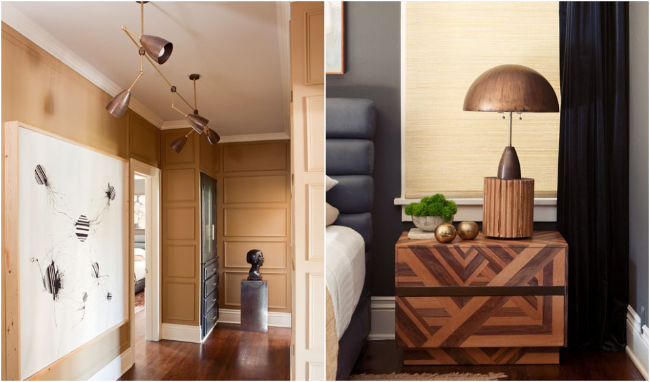 Love this lighting, especially the spot light version in the third picture down, very cool! I'm with ya! LED Strip lighting is the latest craze to hit homes and businesses in the UK. Led strip is affordable, energy saving, eco friendly and most of all looks great. Modern, unique and classy LED Strip lights available from Downlights Direct. A UK retailer and supplier of LED Strip lighting. Saga World Online offering Luxury home decor accessories,Decorative Silver Furniture, Ingredient parts of home decoration Dubai, Dubai shopping accessories, Lighting designs in Dubai, buy luxury Decorative Silver Furniture and many more. myLuce who look for lighting is designed and offers a large choice of lamps of all types, from classic antique chandeliers to the easy kitchen lamp, with employment to be illuminated, in all shapes and colors, trendy designs, or in ancient version, for all tastes will notice the matching lamps.